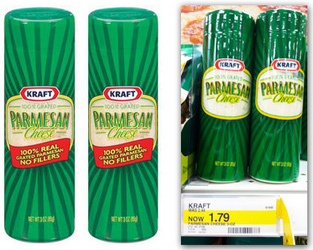 Kraft Grated Parmesan Cheese only $0.29 w/ Coupons! Check out this great deal you can get at Target on Kraft Grated Parmesan Cheese! = $0.58 for 2, or $0.29 each!